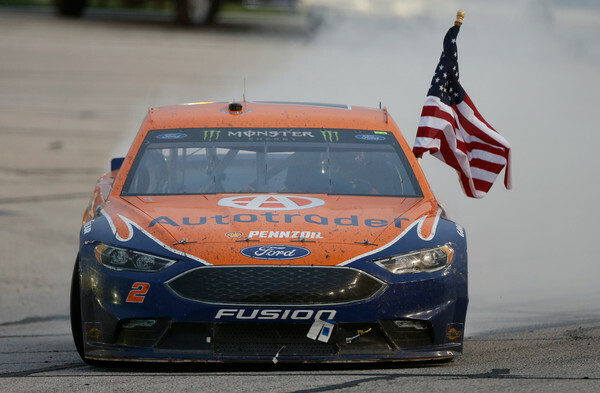 Brad Keselowski held more than an eight second lead over Carl Edwards in the remaining laps of the Quaker State 400 Saturday night at Kentucky Speedway. That lead deteriorated as he went into fuel saving mode to make it to grab the checkers for his second win in two weeks. The Penske driver did not have fuel to do a victory donut, needing a push to victory lane, but he made the distance that mattered to clinch his spot in the Chase for the Sprint Cup, where only 8 races remain before the start of the 2016 playoffs. This was the first race at Kentucky Speedway since the repave and reconfiguration, causing top contention drivers like Hendrick Motorsports driver, Jimmie Johnson, and Joey Logano slamming into the walls and ending their day to compete for the win. “As long as you weren’t around anybody, it was great.” Tony Stewart said after scoring a fifth place victory in his final start at the 1.5-mile track. 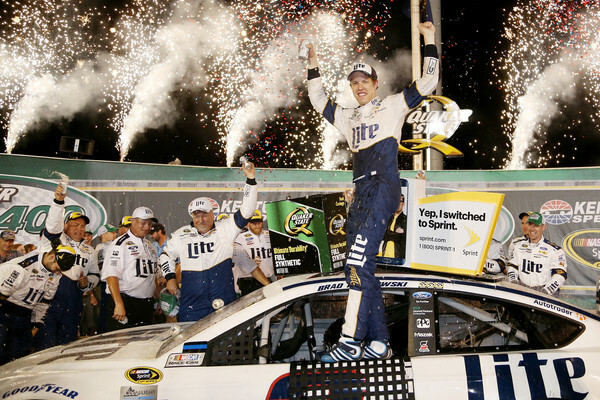 Keselowski, who now has three wins at Kentucky, reiterated the Stewart-Haas Racing’s statement.